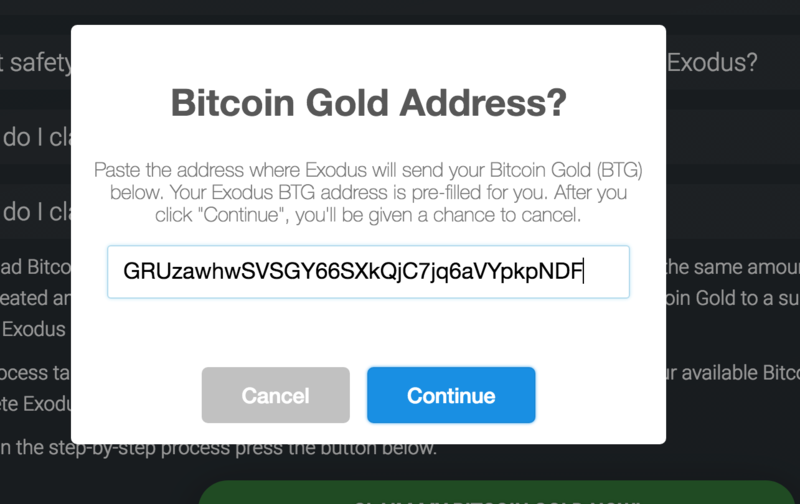 If you were holding Bitcoin in your Exodus wallet on October 24, 2017, you are entitled to the same amount of Bitcoin Gold. 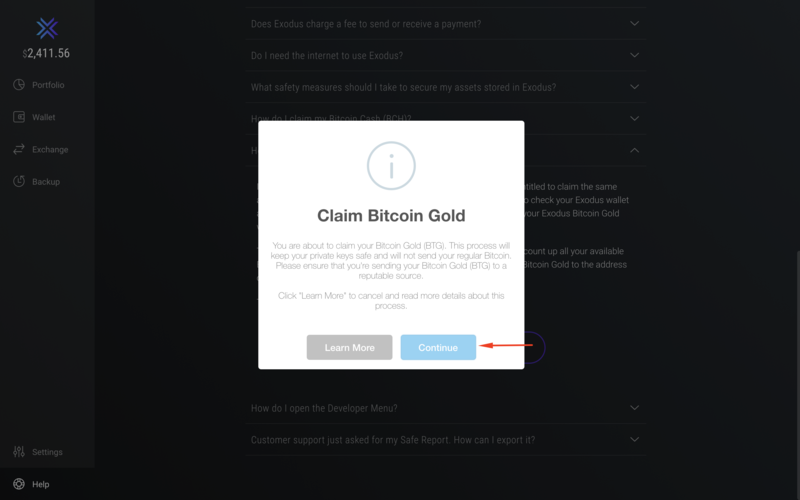 Below are the instructions on how to claim your Bitcoin Gold. Important: This will NOT work unless you are updated to the latest version of Exodus. 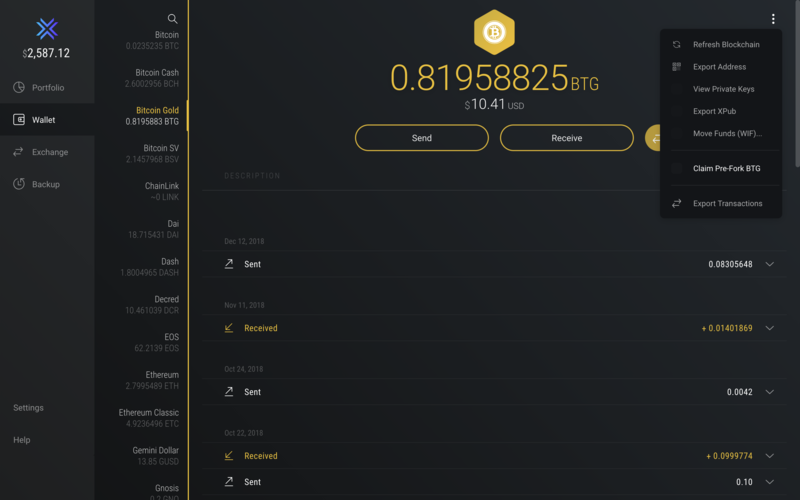 Go to the Bitcoin Gold (BTG) tab in your wallet. If you don't see BTG in your wallet, you can enable it in Settings. 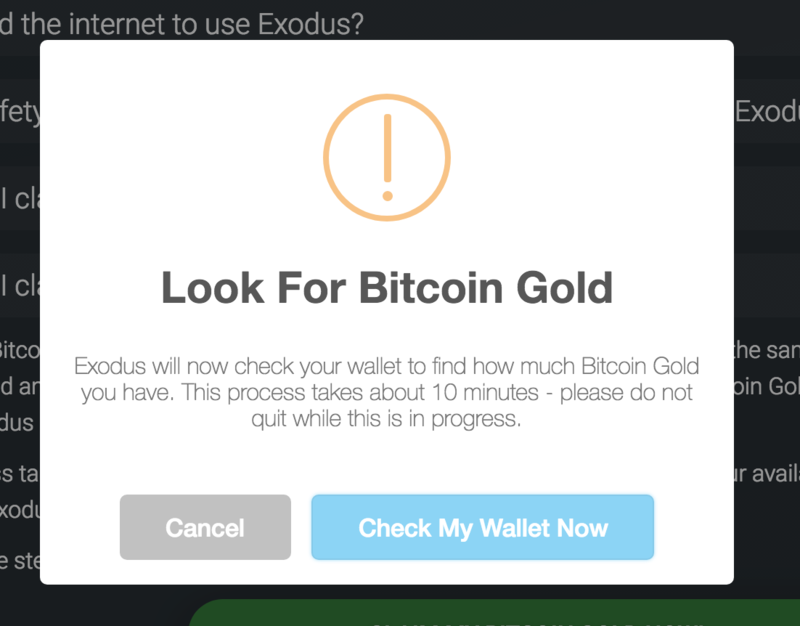 Exodus will now check your wallet for all available Bitcoin Gold to send out. This process can take up to 10 minutes, depending on how many transactions you have. Click the blue "Check My Wallet Now" button to begin. 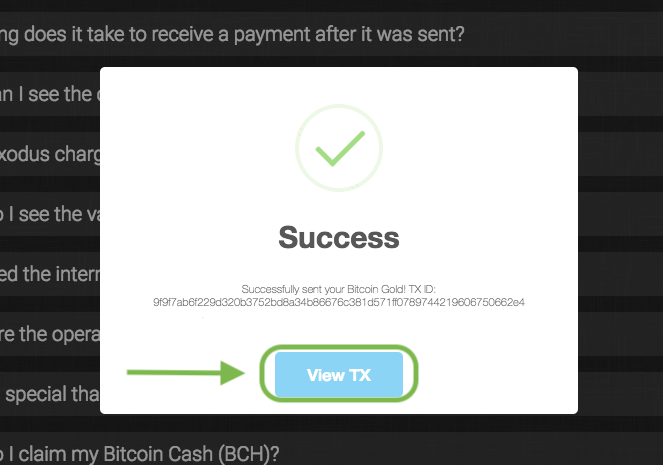 Your Bitcoin Gold has been sent! Click on the blue "View TX" button to monitor the status of your transaction. 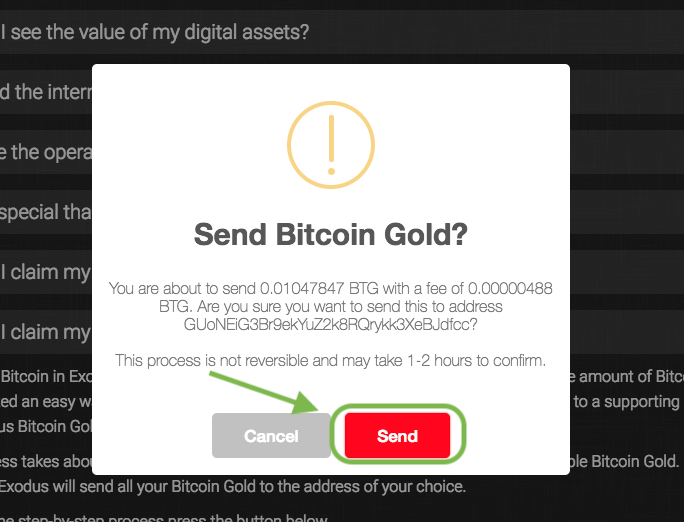 Remember, Bitcoin Gold could take 1-2 hours to confirm, so you might want to get a bowl of popcorn while you monitor your receiving address.